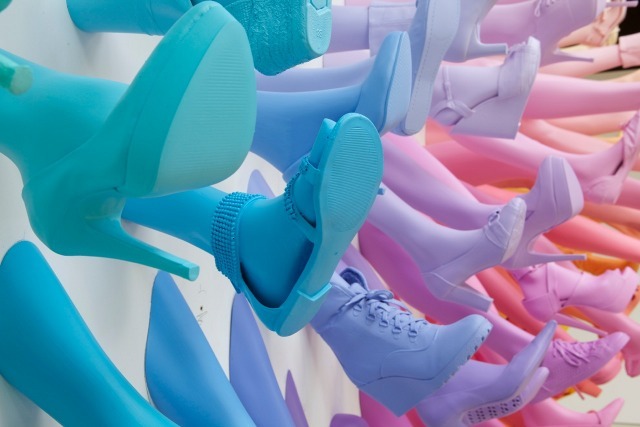 This is a new installation that’s been installed by dutch artist, John Breed, in the German department’s store, Breuninger’s, recently opened shoe lounge. The 9×3 metre installation features 145 shoes on multicolored and golden legs. I thought it was freakishly, fun.